…and everything we put on our skin is absorbed into the bloodstream. Today — with modern farming and mass production processes the way they are — be assured…there are so many toxic chemicals added to commercially-prepared body care products! Chemicals known to adversely affect the body’s immune system, reproductive system, and nervous system. 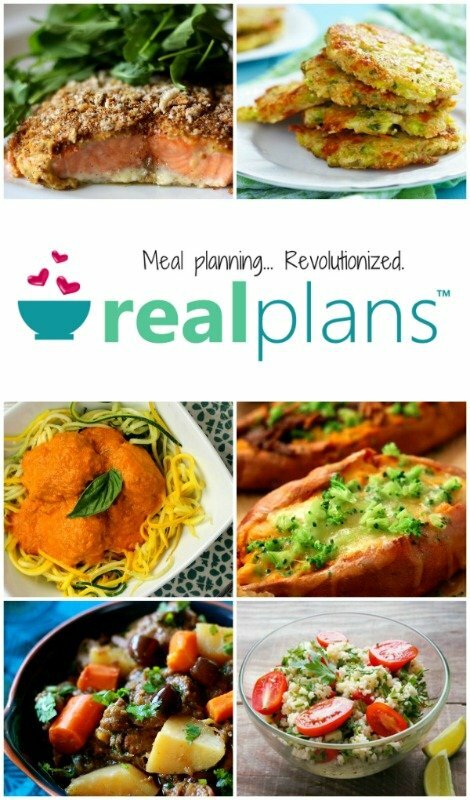 Years ago — around the time that I took the dive head-first into natural health — I started looking for alternatives to commercially-prepared EVERYTHING. 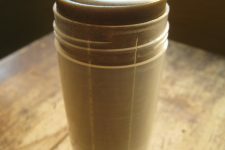 Starting with locally-grown foods to medicinal salves to making my own shampoo…I found that where there is a will there’s a way! Likewise, I immediately became curious about all-natural, aluminum-free deodorant. My entire life prior, I had been an avid anti-perspirant user — the feeling of being sweaty just grossed me out — and initially it was all the correlations made between using that and getting breast cancer…that got the wheels turning. Then when my mother was diagnosed with, and won her battle against, breast cancer…I left anti-perspirants without hesitancy. There are hidden dangers in the active ingredients of conventional deodorant (i.e. Aluminum, Parabens, Propylene glycol, Phthalates, and Triclosan). Current research shows a strong link between anti-perspirants containing aluminum and Alzheimer’s, breast cancer, birth defects, allergies, and hormonal imbalances. These potentially hazardous chemicals have no place in our homes and certainly no place under our arms. Let the body do what the body will do! I believe that when we attempt to inhibit the natural functions of the body we negatively effect the rhythms created for a purpose. Humans were meant to sweat. It was all of these concerns combined that led me to create my own solution. All of these are the traditional stick variety. Recently — and after the request of several of you — my creative drive kicked in and I set out on a Deodorant Cream making mission. ***I love adding a few of these ingredients. They are optional — and add tons of odor-fighting goodness — but not necessary for effective use of this product. For the highest medicinal value available choose dōTERRA™ essential oils or the organic oils from Mountain Rose Herbs…these are the brands I trust to provide the ultimate in health + safety for myself, my family, and my friends. Using a kitchen scale, measure the ingredients. 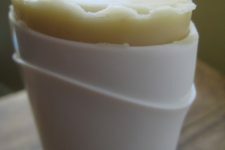 In a double boiler or small pot, melt shea butter, coconut oil, and beeswax over low heat. Remove pot from heat and allow mixture to cool slightly. Add arrowroot powder and zinc powder. Whisk until all powders are dissolved and well combined. Add vitamin E oil, extracts, and essential oils (if using) at this time. Stir. Pour mixture to a sterile container — one such as these — and allow to cool on counter. Label product and store at room temperature. Shelf stable for at least one year, depending on quality of ingredients used. Using fingertips, apply to underarms daily or after showering. A little goes a long way! –Zinc Oxide. For safety’s sake, be sure to use only non-nano zinc oxide. Zinc oxide powder is not only a sun protectant, but an antioxidant that is able to soothe, protect and help heal the skin. Likewise, it contains anti-bacterial and anti-fungal properties. Non-nano zinc oxide is not absorbed by the body and has been proven to present a very low risk to human health. –Beeswax. Beeswax — one of nature’s most incredible raw materials — provides a superb germ-killing, protective barrier for the delicate skin under the arms. Hi Mandy! Great question 🙂 If you do sweat a lot I highly recommend the Probiotic Deodorant…it’s amazing at wetness and odor absorbing. Thanks so much for your readership! So, using what I have at the house, since it is time for deodorant to be made (today, lol)…would coconut oil and corn starch or bentonite clay be good subs for the sesame oil and arrowroot powder? Yes ma’am! Those are excellent! 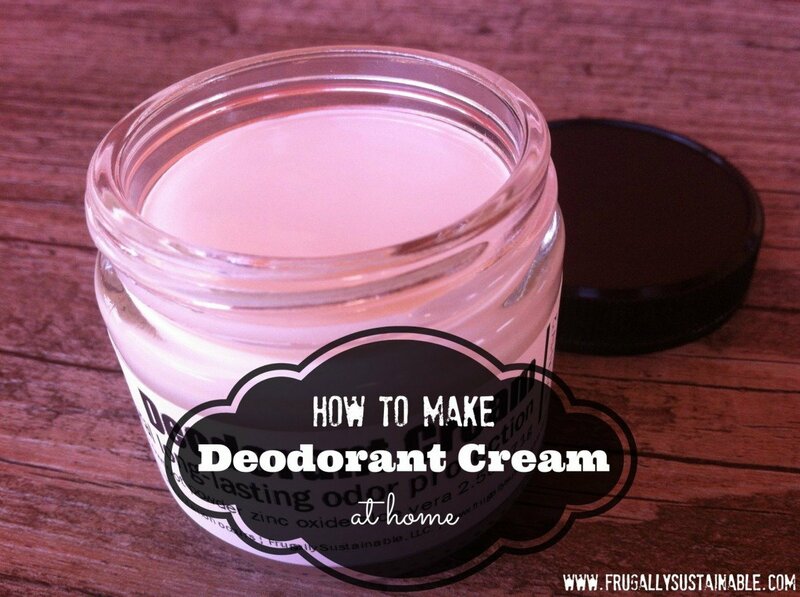 Great way to use what you have on hand Nicole 🙂 Happy deodorant making…let us know how it turns out. Please don’t use corn starch as it is a sugar and will encourage bacteria growth among other icky things. Bentonite clay should be fine though! 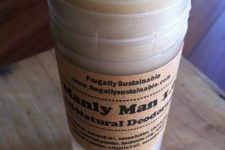 FYI– when I used bentonite clay in a homemade deodorant, there was an awful “detox” phase (even after using other homemade deodorants for over a year!) where I stank to high heaven, but then after about two weeks I stopped and now I LOVE IT. I love this recipe. It is so soothing but it works. And here is my thoughts for Mandy. I sweat a lot also. And when I mean I sweat, boy, do I sweat. I work outside in the hot sultry (that’s a nice word for humid) south. I use this recipe and have been using it for about a year now and I have found that I seem to sweat less. So much so, I don’t have to apply it every day. It’s great and it lasts a long time. When you make a batch, it lasts forever. A little goes a long way. Does the zinc oxide cause your armpit and clothing to turn white? I am elated to find this recipe . I’m allergic to the baking soda recipes, which work really well, but not if your armpits itch all of the time !! Anyway , I only have toasted sesame oil , will that have the same properties as just sesame oil ? Great recipe! I have discovered non-nano zinc oxide powder too and have loved it for deodorant! I have even used just the straight powder and I don’t smell! Your link for Non-nano zinc oxide goes to Amazon.com and Nano Zinc oxide. Where can we get NON nano zinc oxide? Very cool! I gave homemade with coconut oil a shot a few months ago, but wimped out and ended up with a stick of Jason. :/ I would love to give one of your recipes a try. Which is your favorite out of the three you mentioned? Can I use Rosemary essential oil or Myrhh essential oil for the vit e? Is the vit E in this recipe for a preservative or for soothing the skin? Thanks. Could you send me the recipe for the stick. The cream idea doesn’t really work for me. Ate these say for people with tree nut and birch allergies. Also, how do you make your own shampoo. I love that idea! I’m trying to go all organic and green, wh eat free ad much as possible. Thank you for sharing also. Very nice of you. i tried the following recipe and it works really good accept it made me break out in tiny little bumps i guess it would be because of bacteria so i had to stop using i am going to try your recipe thanks for the info. mix together 2 parts baking soda and 2 parts cornstarch with one part coconut oil. for example: 2 tablespoons each of baking soda and cornstarch and one tablespoon of coconut oil. The coconut oil will keep your skin hydrated, while the baking soda takes care of odors, and the cornstarch keeps you dry. i add a few drops of lavender oil for fragrance. the cornstarch will cause an infection. Too much sugar. Could cause a yeast infection or a bacterial infection. That’s why you aren’t supposed to use it for diapering babies. Cornstarch would cause that. There is too much sugar in it, and yeast eat sugar. It causes infections if applied to skin. That is why it is recommended to never use it for diapering babies. My friend and were just talking about this yesterday- Finding a deodorant that was safe to use. And here it is today, the recipe to make your own. The angels want us to know that this is what we should be doing. I’m wondering if this could be put inside a deoderent tube for easy application? 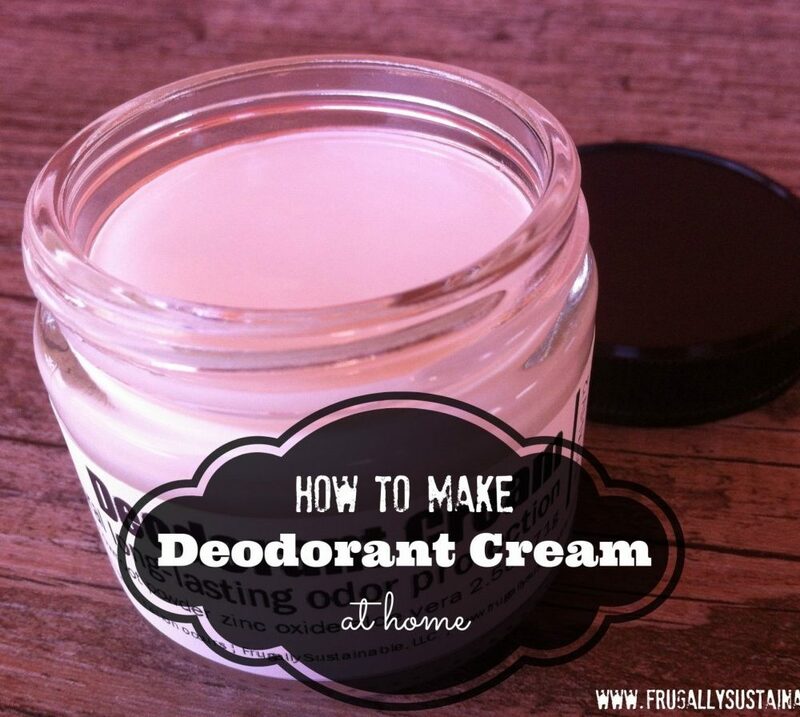 I have been trying lots of experiments with homemade deoderants and nothing is working. They all burn and hurt my very sensetive skin. Baking soda and green french clay has been the most damaging. The clay caused my skin to fall off in chunks. I would like to try this since it has no baking soda. I was wondering if you think that it would be alright to try using calendula and chamomile infused coconut oil and olive oil blend instead of sesame oil? And would adding some GSE or maybe boric acid powder be any good? After I began using coconut oil for just about everything, I tried something just for kicks: after moisturizing my face with coconut oil, I had a bit extra, and thought: “why not”? So I wiped it on my arm pits. No baking soda, or cornstarch (GMO), or arrowroot, or anything else. Does it stain? No. It absorbs into the skin. I’m guessing with any other ingredients, (like the powders)it might, though. I often add a few drops of Essential Oils to coconut oil for my body moisturizer, and sometimes will use this for ‘deodorant’, and it doesn’t stain, either, since there is barely any E.O. at all in the container of coconut oil. Anyway, it works for me: plain old coconut oil, and not a lot of it, just enough to rub into the skin, leaving no residue…. Sorry I forgot to ask how much GSE I should use. I just bought some, but I have never used it before so I am unfamiliar with it. I am really learning and educating myself and my family about these natural alternatives. We really want to eliminate GMOs from our house and antibiotics from our meat for our health and the sake of our children. I wasn’t aware that GMOs are found in vitamin oils? And does anyone know if they are actually in vitamins too? Interesting! I had no idea! arrowroot powder would be the substitute for cornstarch. the cornstarch/baking soda/coconut oil deodorant is the very best ever in the whole world. works better than you’d ever believe. so if you’re concerned about cornstarch, just trade it out for arrowroot and you’re good to go! I’m hoping to make this to bring to college, but I am wondering if the oils would cause oily underarm stains in shirts….anyone have experience with this? Hello, can this be made without Sesame Oil I’m highly allergic to sesame when I eat it I don’t fancy the idea of it seeping into my bloodstream. Could you use Mango butter instead of shea butter? I have a hard time finding sesame oil that is peanut free. Could I use sunflower oil (organic) instead? Made this last night, excited to try it. one thing I would say is that it makes A LOT. I will half the recipe next time I make it. I would say I have about 125mls of it, so make sure you have enough containers or one big one! Too bad no vegan version of these? Been using this for just over a month now and it is great! I subbed coconut oil for sesame oil. Have had no problems with oil staining clothes, keep odour at bay, lasts a couple of days and have found that it also helps clear dermatitis and athlete’s foot! Could I sub diatomaceous earth for arrow root powder?